Climate: The most Mediterranean in France - sunny and relatively dry, with a mild winter. The Mistral (a strong wind) is the defining feature. Provençal cuisine is classically Mediterranean, featuring fish, tomatoes, eggplant, goat cheese, olives, truffle, garlic & anything found in an Herbes de Provence blend (rosemary, thyme, sage, lavender, etc.). Classic dishes are ratatouille, bouillabaisse, and olive tapenade. 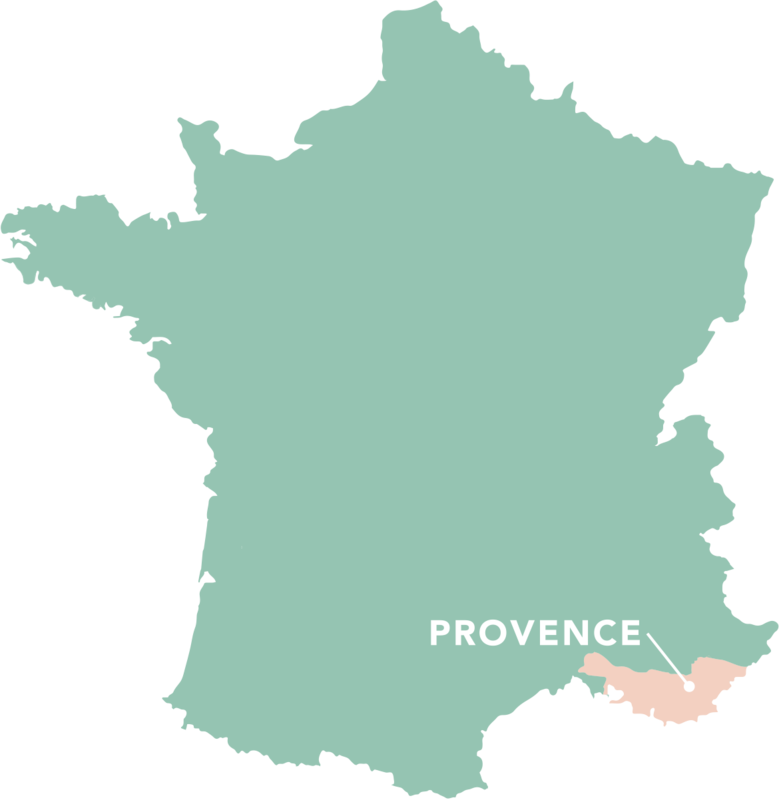 In general, the Provence region’s light and flavorful cuisine pairs perfectly with rosé.